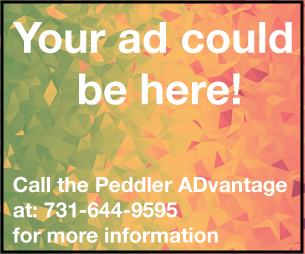 The Peddler ADvantage is proud to serve 9 counties: Benton, Calloway, Carroll, Henry, Houston, Humphreys, Obion, Stewart, and Weakley. 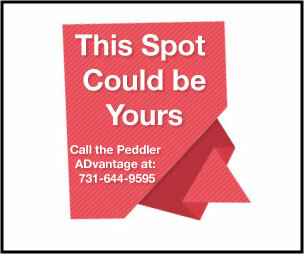 The Peddler ADvantage brings you the best deals, savings, and coupons to readers of every age within 9 counties. 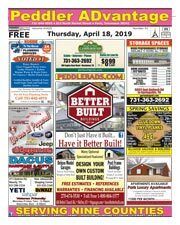 Advertisers get a great value by putting their offers in front of our huge free circulation, both in print and online every Thursday! 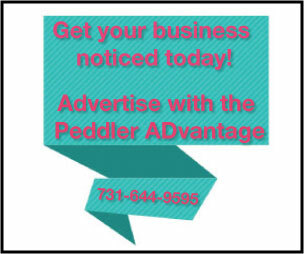 Click the image to view this weeks Peddler. Have you picked up our NEW FREE Southern Lifestyle Magazine? Alive Magazine is just what it says it is. 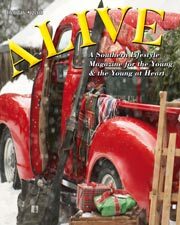 A southern lifestyle magazine for the young and the young at heart. Our area is rich in colorful characters, exciting community events, distant and not-so-distant history all wrapped up with some southern hospitality. We are proud of where we are from and want to celebrate those things that make us who we are. We hope you will come and enjoy the dirt road with us. Have you picked up our FREE Senior Citizen and Retirement Magazine? 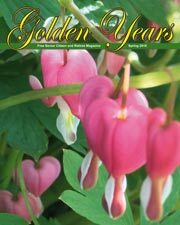 Be sure to check out Golden Years, the perfect publication for your retirement lifestyle in Henry County, Tennessee. 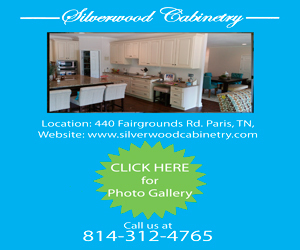 Annual magazine for newcomers to Henry County, Tennesee. 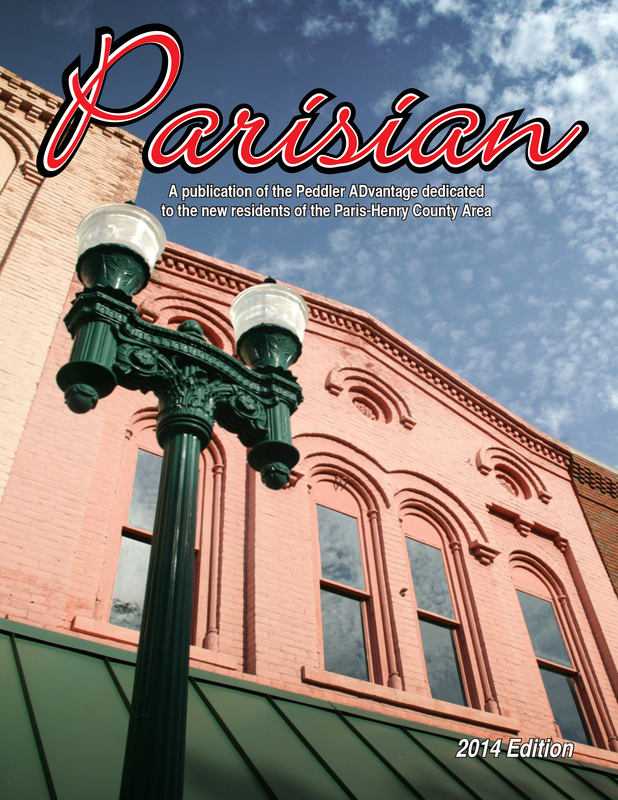 Click the image to read the latest edition of the Parisian. 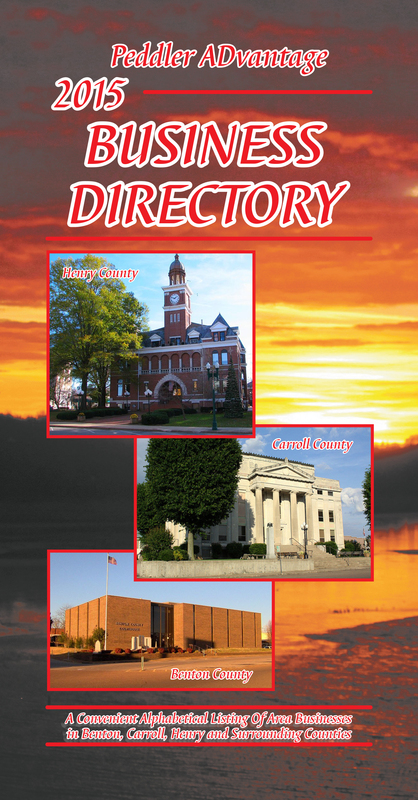 Tri-County Business Card Directory is a listing of services available in Henry, Benton, and Carroll County, Tennessee. Click the image to view a digital copy of the Tri-Ciounty Business Card Directory.